Our eyes are one of the first places we begin to show the signs of ageing, which is due to the fact that the skin there is so delicate and much thinner than in other places. Combine this with the fact that by the age of 25 our skin slows it’s natural collagen production and you should be starting to understand why good skincare is key from an early age. It’s not just for ageing, but there’s all manner of skin concerns that can affect the eye area – break outs, oily skin, dry skin…whatever your complaint may be, it’s going to have an impact on that very delicate eye area. 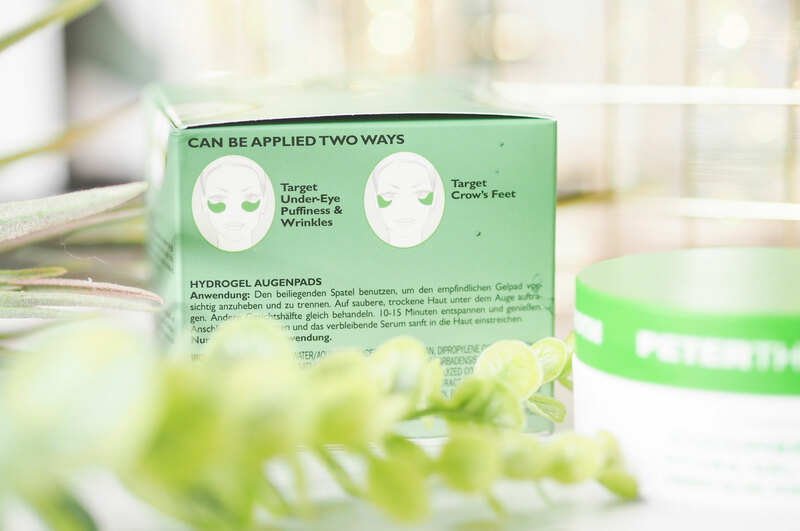 As a face mask lover I’m all about those intensive skincare moments and I’ve become obsessed with eye masks. More specifically the ones from Peter Thomas Roth. 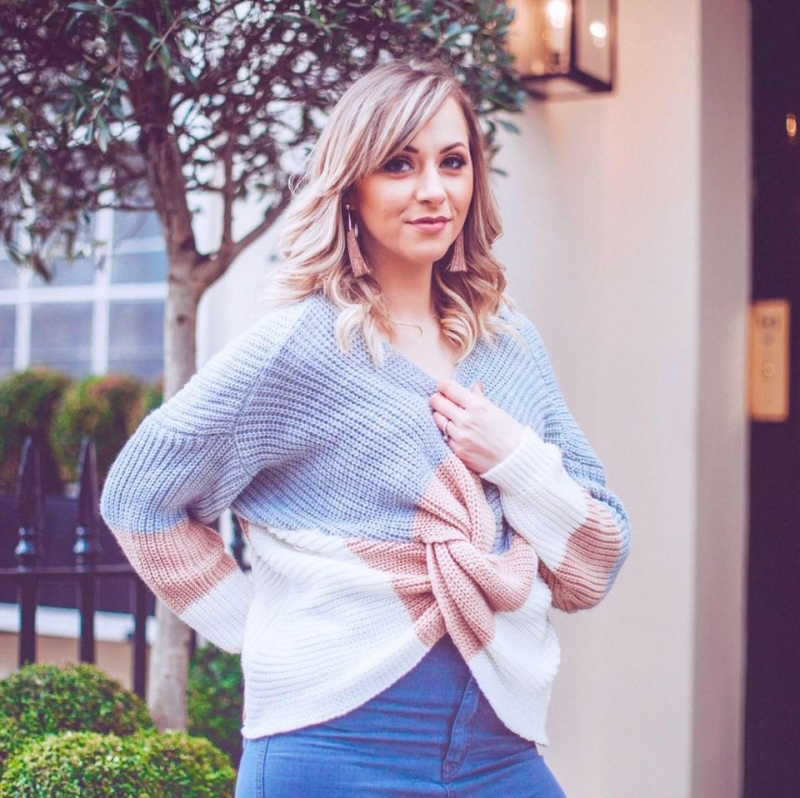 I’ve currently got two different variations on the go (the second one is coming to the blog very soon!) 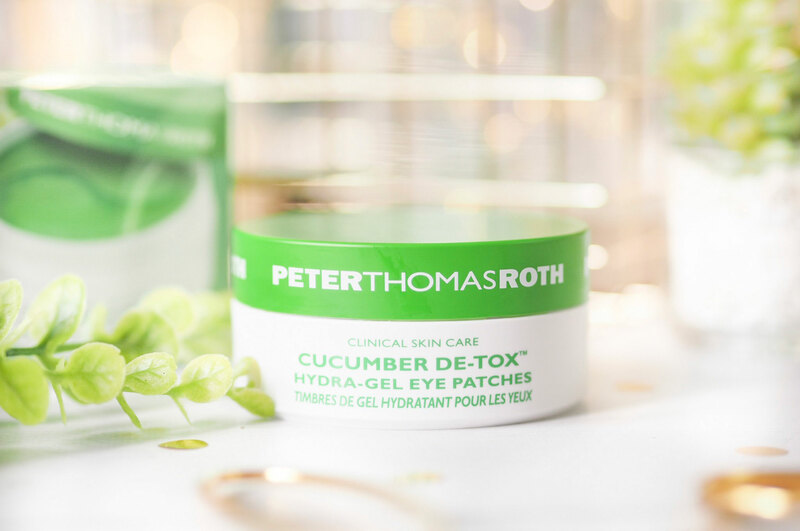 but the Cucumber De-Tox Hydra Gel version are fabulous for those in their 20’s and 30’s. These patches work to reverse the signs of a late night or lack of sleep. 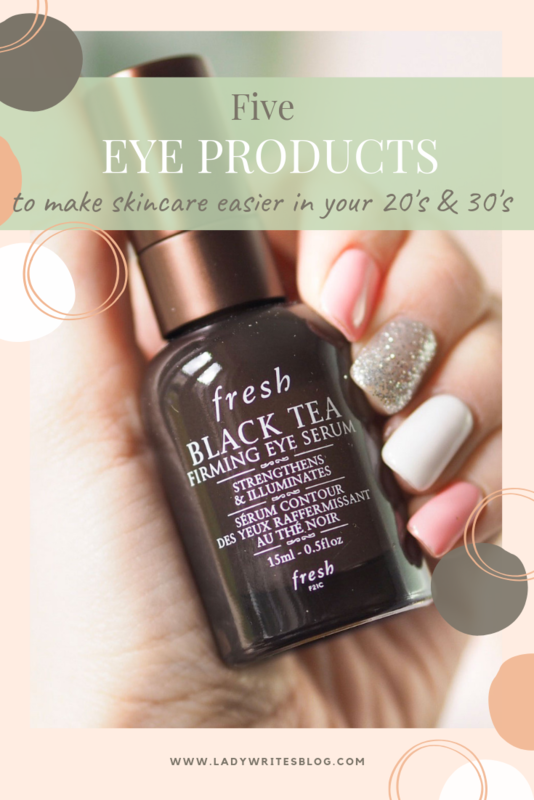 Basically, if you have dark under-eye areas then this is going to perk them right back up. If you notice that your eyes give you away and show how tired or stressed you are then these are fabulous because they contain caffeine, which used in eye care works the same as a coffee does for our bodies – it awakens. They’re also cooling to the skin which instantly refreshes due to the natural cucumber extract and I find that in itself perks me up as a whole. Think of these as a much better, more modern version of cucumber slices on your eyes! While they’re refreshing they also depuff the area and work to smooth it out, so these little patches are great if like me, you’re worried about the beginning of those fine lines. Oh and they’ve got collagen in them too – seriously, what more could you want for under eye targeting?! 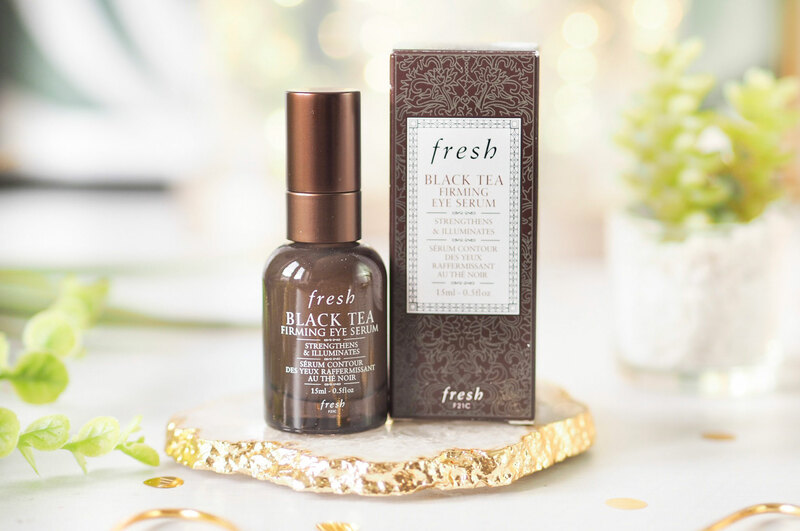 I’m a big lover of the Fresh Black Tea Sleeping Mask, it’s one of my weekly favourites, so when the new Black Tea Firming Eye Serum launched, I wanted to try that too and see if it was just as good. Hint: it is! With a very gel-like texture for a serum, you only need a tiny amount to go a long way. I apply with my ring finger and gently dab in dotting motions. I apply to the hollows of my eye, right up around the crease of my socket and lid. Basically everywhere I can – because this little bottle of goodness is amazing. It’s one of few products I can actually see results very quickly. Within days you notice the area looking a little less puffy, and the lines looking less dominant. You’ll notice that your eyes are less drawn to the area, which is how you know it’s making an impression – or I do anyway. I noticed that I wasn’t feeling like the area looked so bad because the lines didn’t draw the eye like before. And as a whole it just looked a bit fuller and smoother. This is one of my highest recommendations for eye products if you’re worried about fine lines or wrinkles. I was drawn to this because of the name ‘butterbalm’ – it just sounds so satisfying, doesn’t it?! I love products that have a really buttery texture so that sold me on this before I’d tried it. 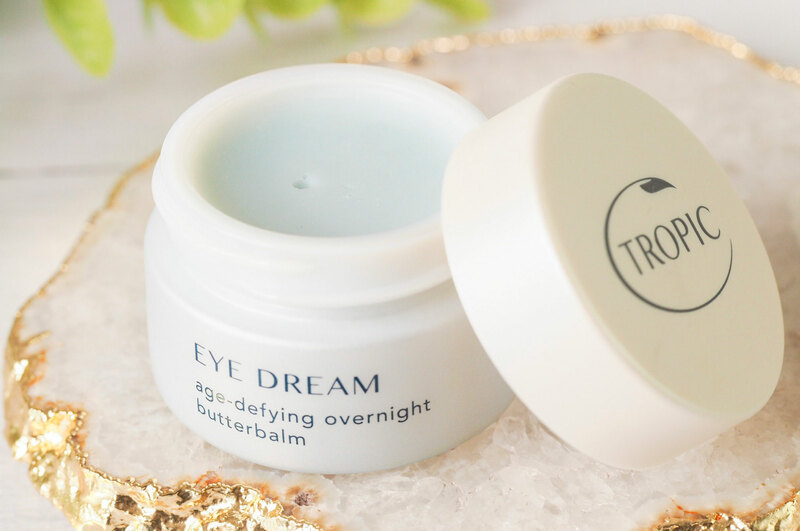 But as a fan of Tropic Skincare anyway, I had high hopes for the Eye Dream Butterbalm. This little pot is really great if you’re into vegan-friendly skincare and it delivers good results too. I turn to this one as my nightly eye product when I’m suffering with dry skin. Which I never used to, but for some unknown reason I’ve started to recently. This is perfect during those times, as I notice the dryness underneath my eyes before anywhere else on my face. It’s really hydrating and soothing, as well as enriching the area with so much moisturisation that by morning the area still feels soft and hydrated. It’s also good for plumping and anti-ageing too, but for me the pure hydration levels in this one are my biggest take-away. Now this is a great one for the mornings instead of the evenings. 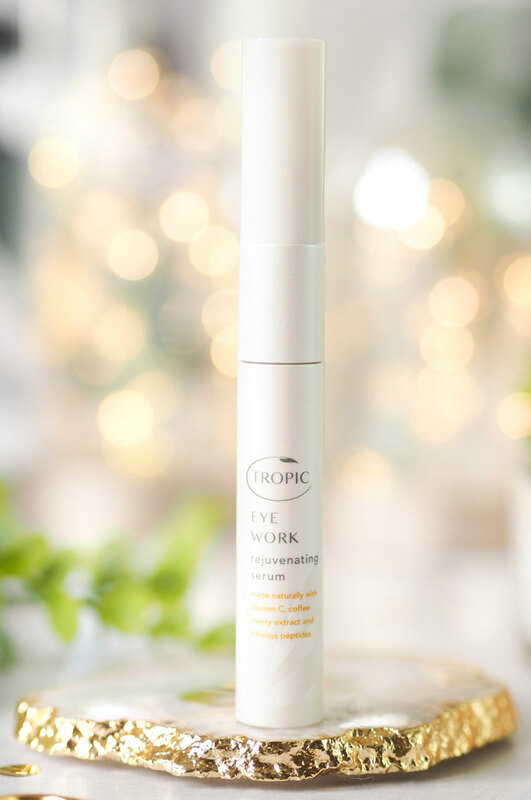 I find that the Tropic Skincare Eye Work in the mornings works to very quickly depuff my under eye area from the first-thing-in-the-morning puff. It’s got a ceramic tip applicator which I think helps because it’s cooling and refreshing which I feel preps the area for the serum itself. It applies really nicely and while your massaging it in, your eyes are getting more and more awake. As someone who struggles to wake up in the mornings anyway, things like this do a great job for an area I struggle with any way. So I actually gave this to a friend of mine to try because I’ve been working through quite a few new skincare products recently, and I always value hearing what other people think about products and brands. 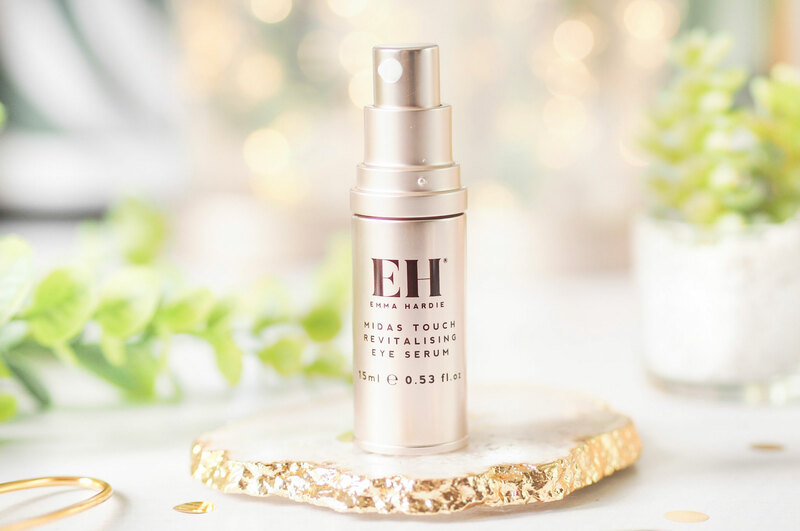 As someone who really rates Emma Hardie skincare (their Moringa Balm is amazing by the way) I was happy to see what my friend thought of the Midas Touch Revitalising Eye Serum. After using this for just under a month she said that her eye area had radically brightened and lightened in appearance. She said she wasn’t sure if the fine lines were more plumped or the area was smoother overall thanks to it’s massive hydration properties, but somehow the area just looked better. And better is always something we look for in eye care during our twenties and thirties, right? So if you’re looking to take your eye skincare to the next level and you’re in your 20’s or 30’s then I can highly recommend this top five. 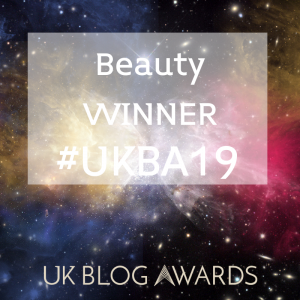 Looking after skin is the only way to improve it (along with a healthy diet etc) so it’s essential to find products that work for you and deliver the results you’re looking for. 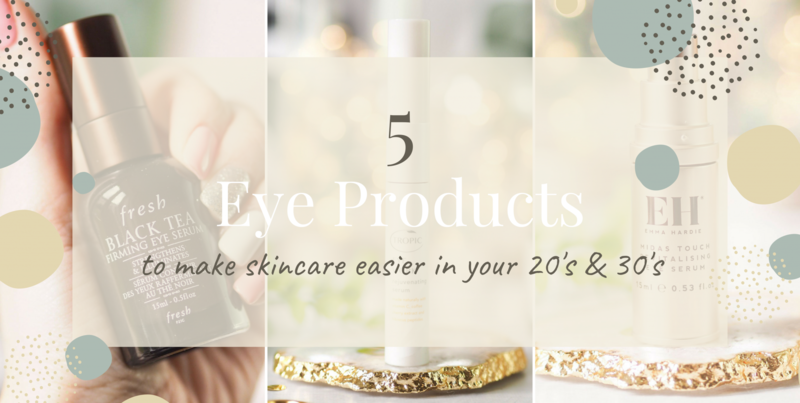 With so many amazing eye products on the market, it’s hard to know which ones to try, but as someone who’s in the midst of hoarding eye creams like an addict, I can assure you that these all meet the mark. Previous Post Anastasia Beverly Hills The Daytime Collection – Buy or Bust? Oooo these look so good! I love the look of them, so so good! I bet I’ll be buying something from this post as well! I’ve tried a few Tropic products before so I’d probably opt for one of those! I absolutely love Tropic products, they are amazing! I’m with you on the fine lines appearing. Everything sounds so good. I’m definitely gonna but the fresh one. I’m such a sucker for any eye lotion or potion! 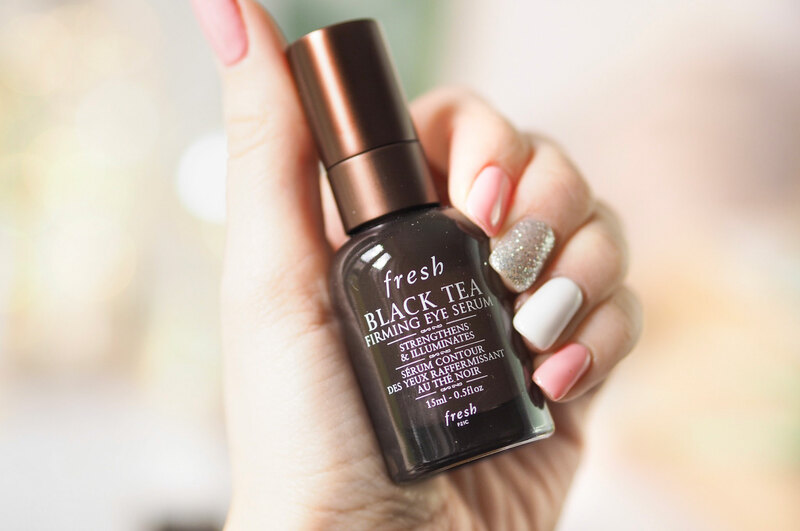 I love the Fresh Black Tea Mask, so I am sure I would love this! I’ve heard cucumber does wonders for the eye.